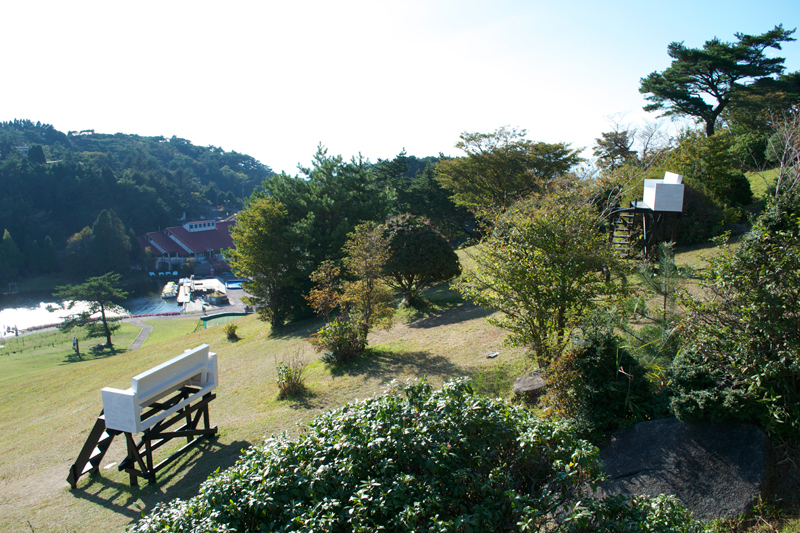 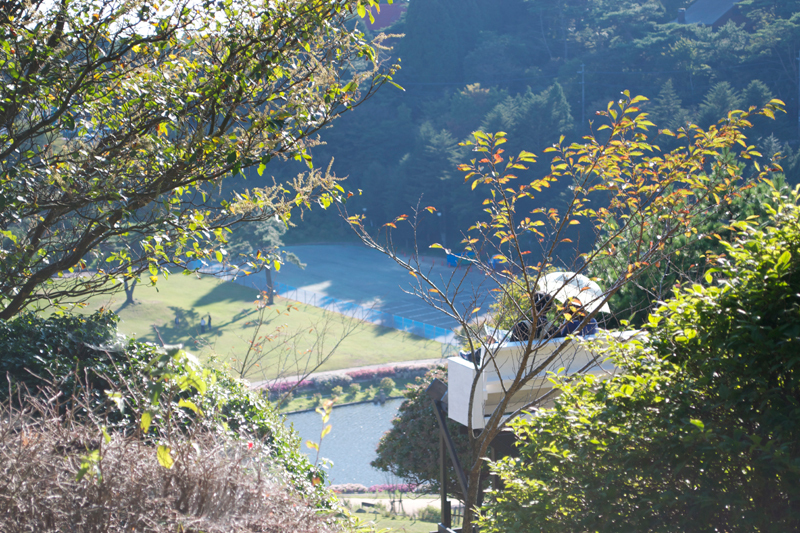 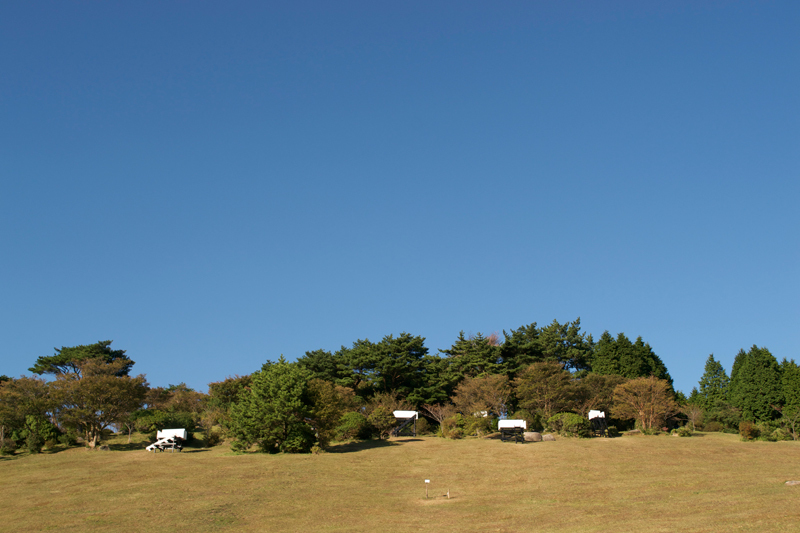 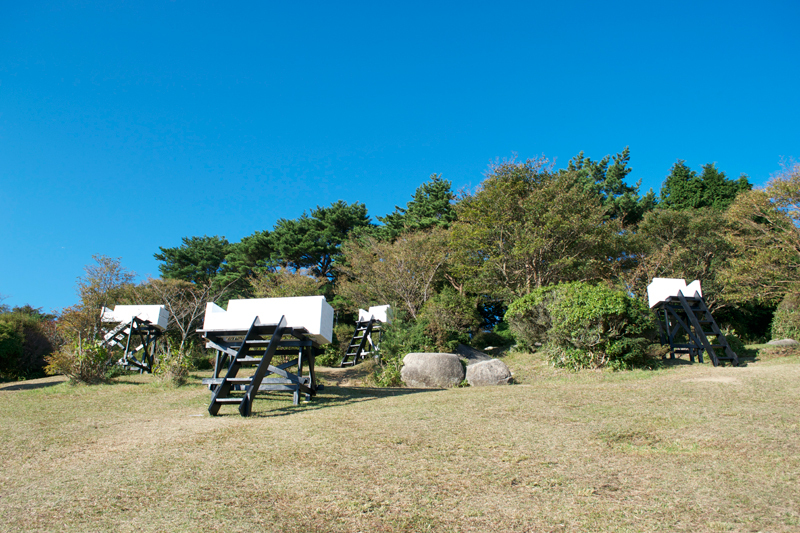 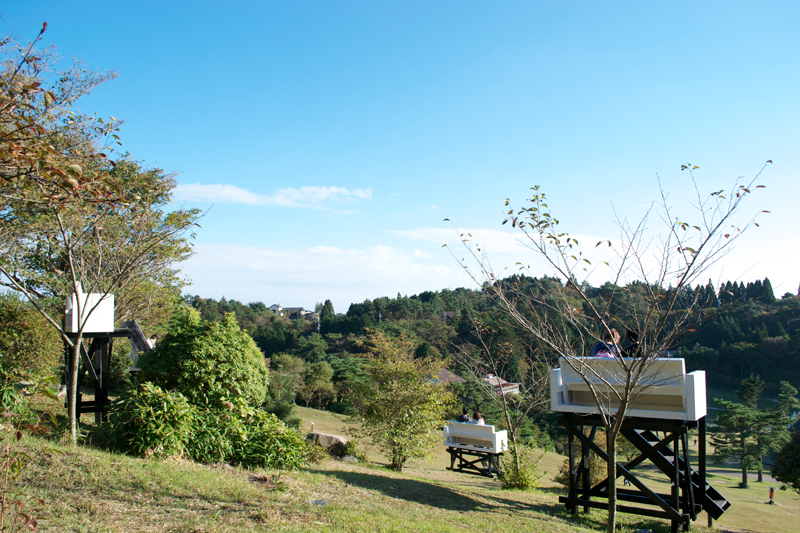 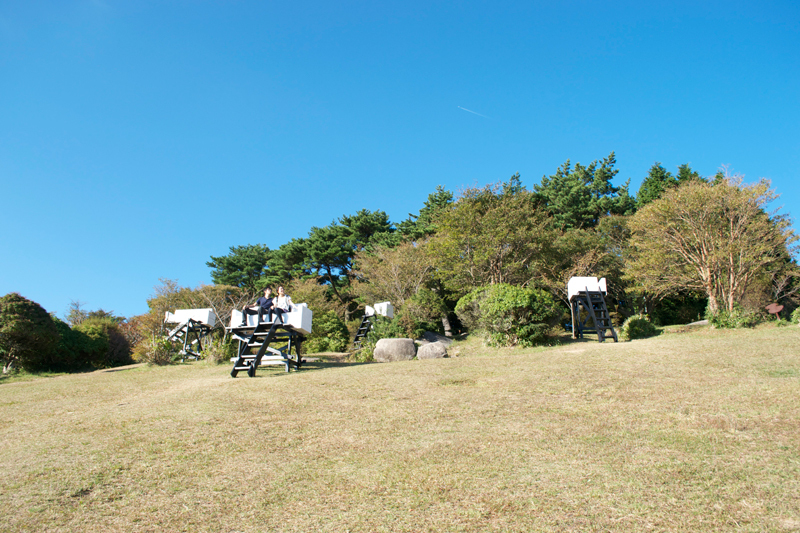 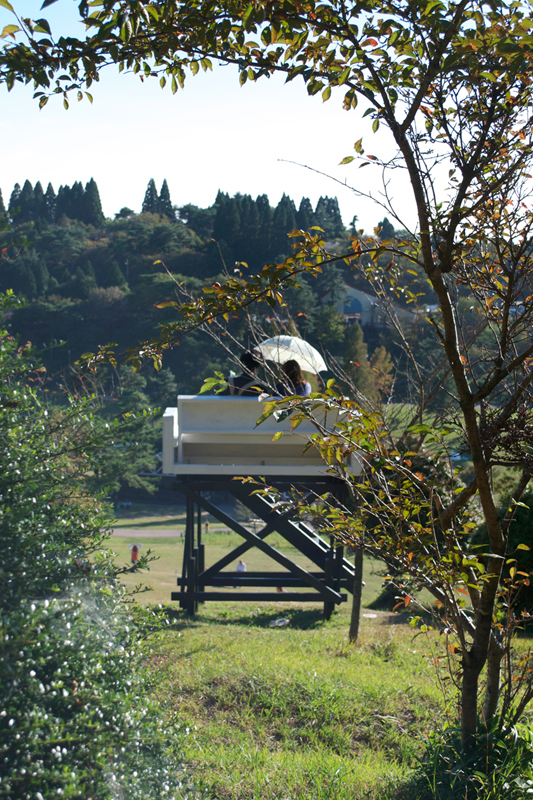 On the top of hill covered with grass, five white sofas are floating in the air. 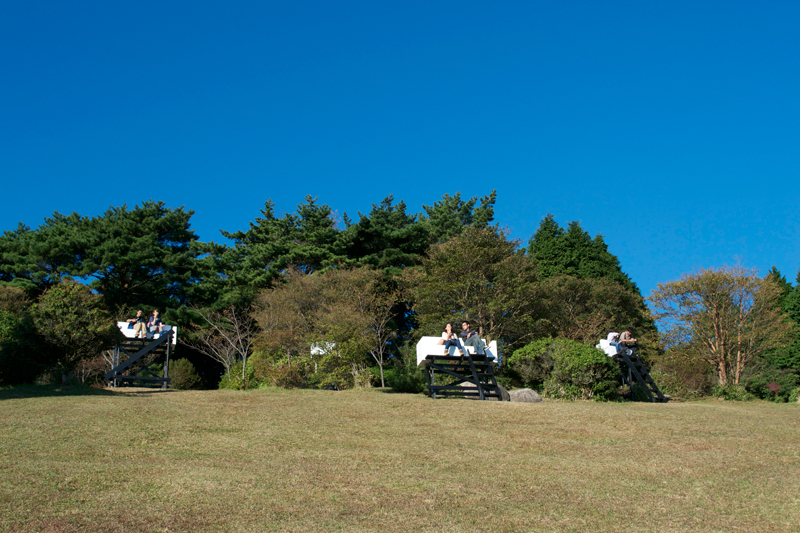 Viewers find them from under the hill and walk up. 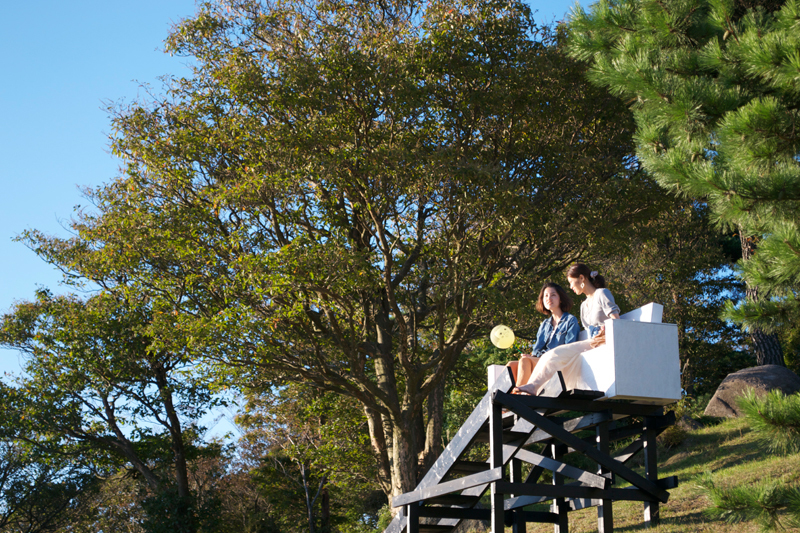 Each sofas have ladder or stairs to reach to the seat. 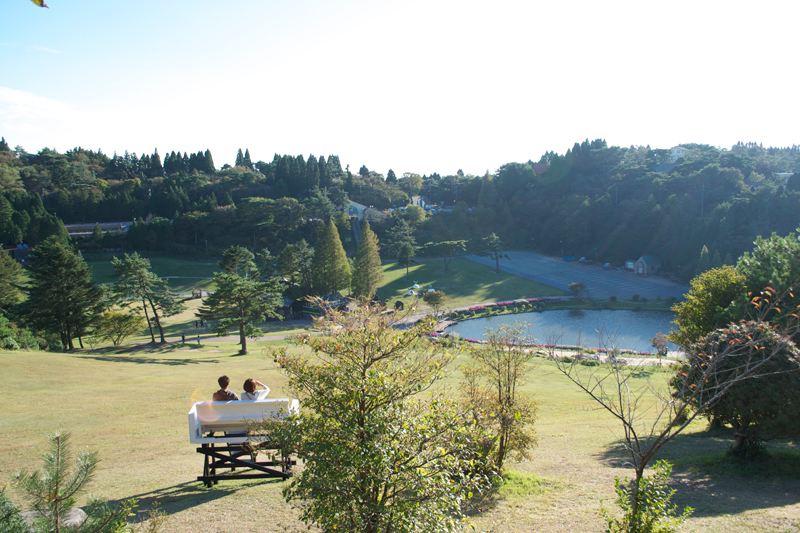 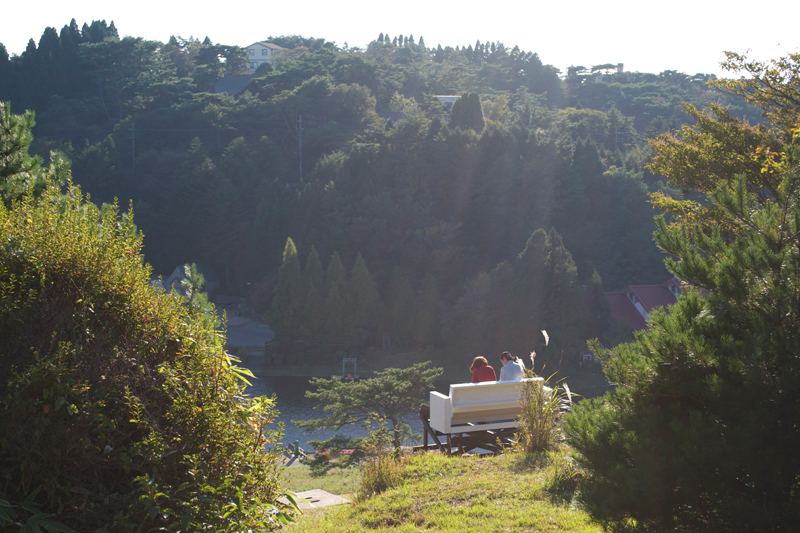 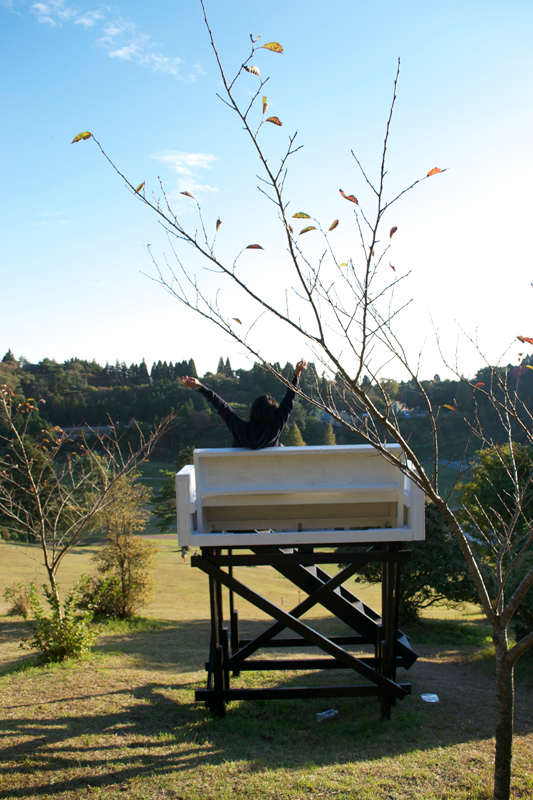 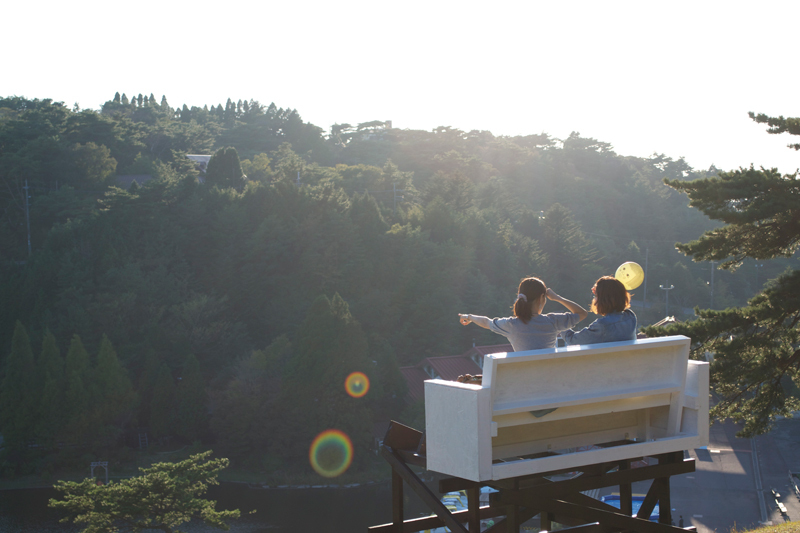 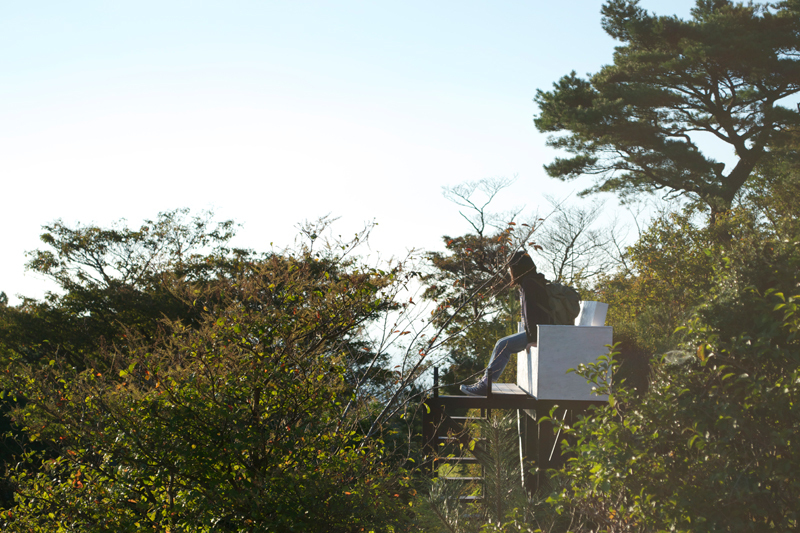 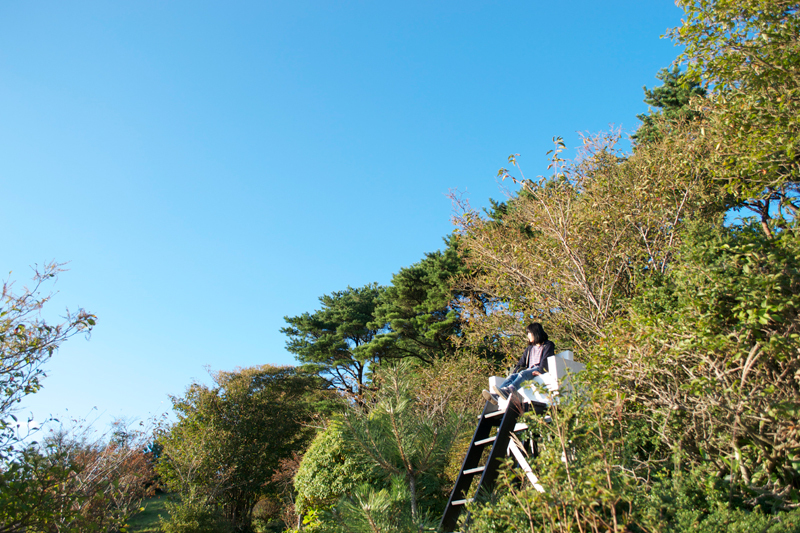 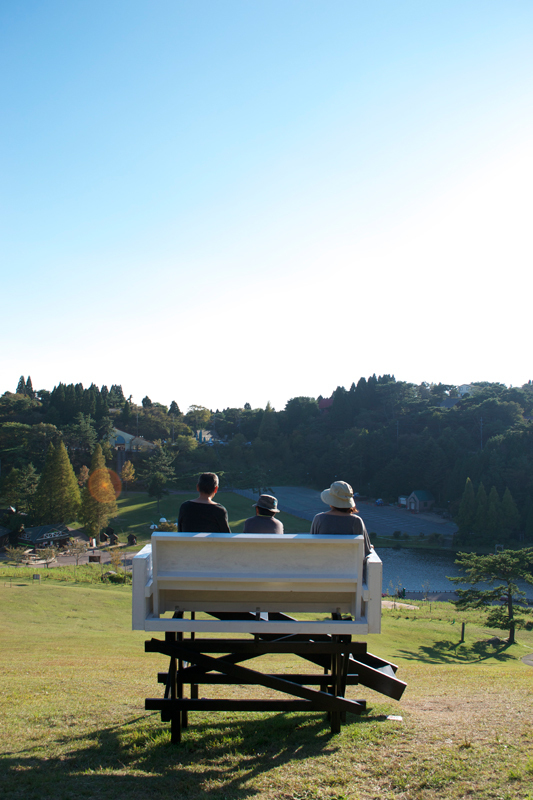 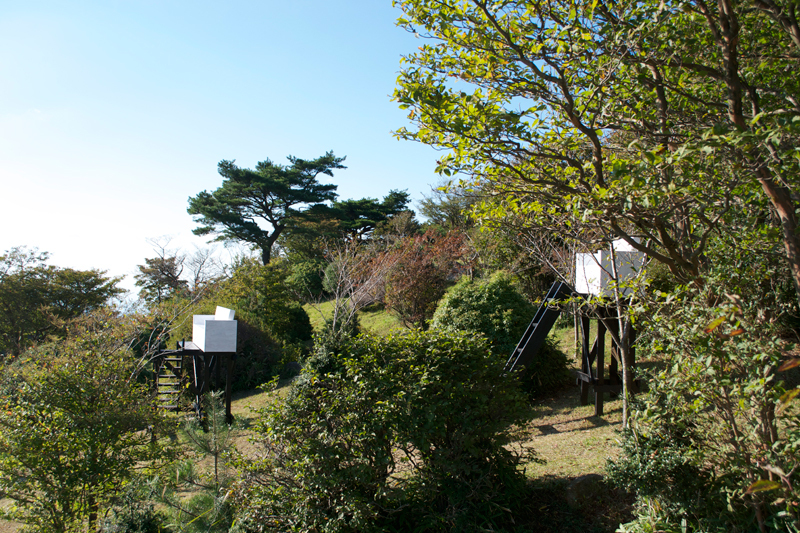 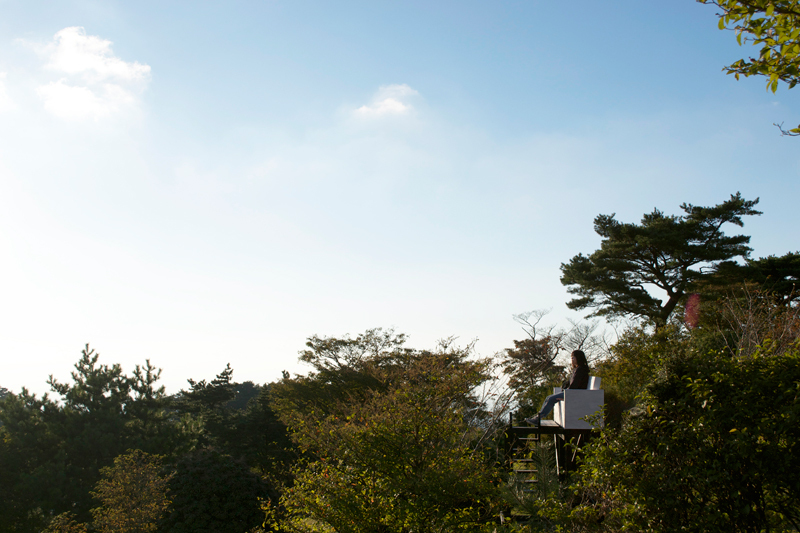 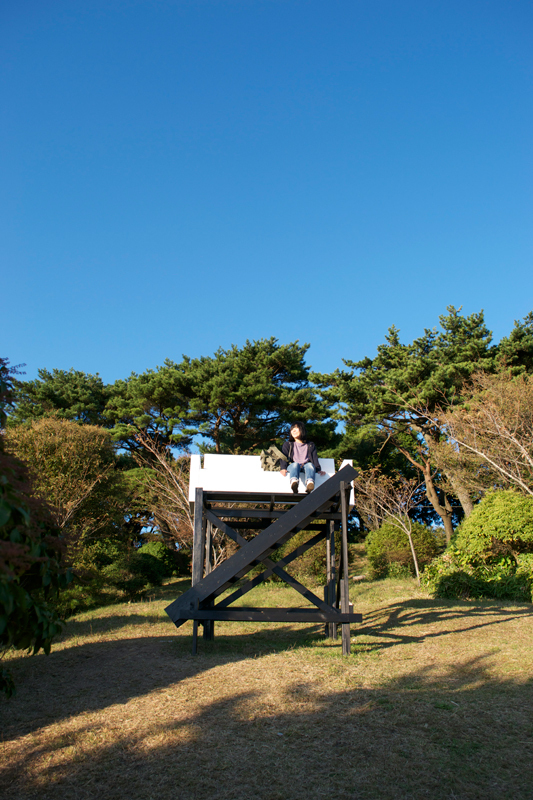 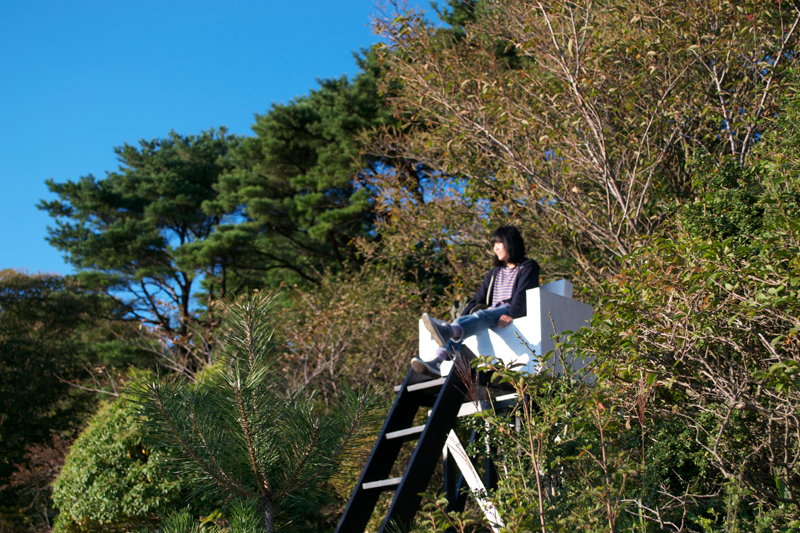 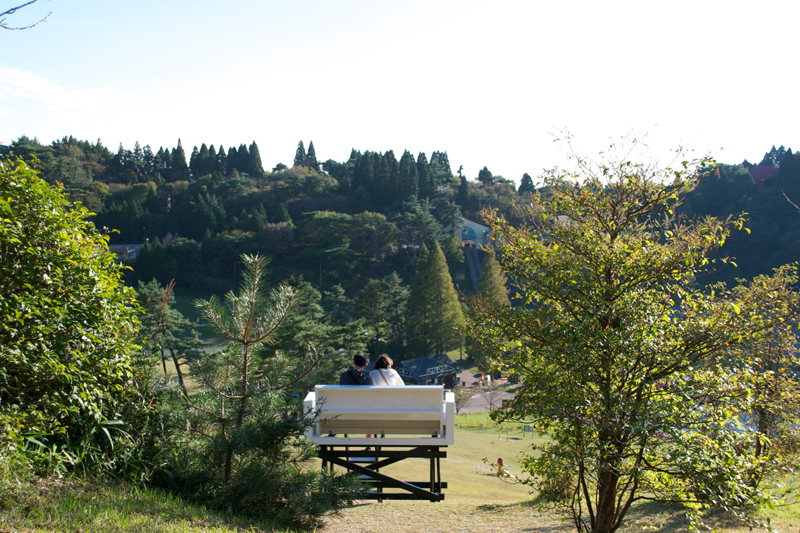 And viewers can sit down on the sofas and realize beautiful landscape and sky in front of them. 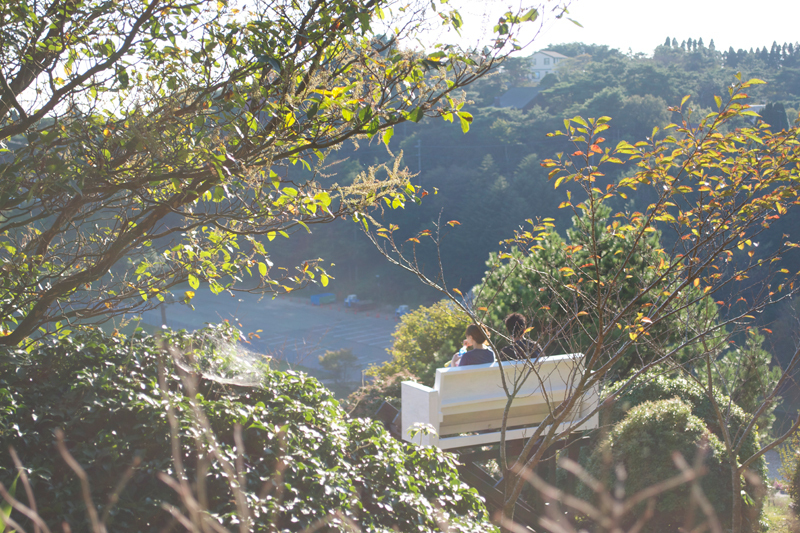 This is the sofa to sit into the sky.